Whose turn is it to take the trash out again? 1. A set of airtight containers that will keep all your food organized and visible — and also give you an opportunity to ask your roommate if you can throw out that cereal that expired in 2017. Get it from Amazon for $36.99 for a set of 6 or $54.99 for a set of 10. 2. A pull-out cabinet organizer to get your stack of pots and pans in order so you don't have to work as hard to get that one pan you need that's in the middle of the pile. Get it from Amazon for $78.45 (available in 12" and 21"). 3. 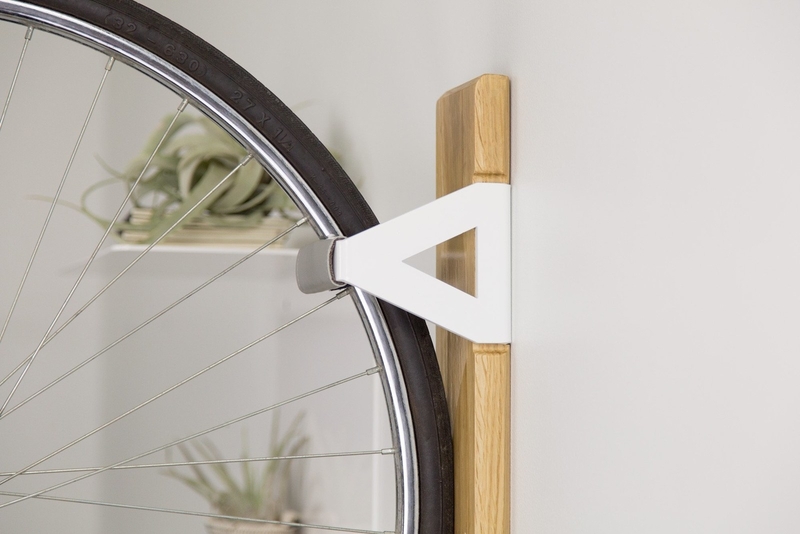 A magnetic wall shelf you can easily stick your keys or other small things to. Plus, it's also a whiteboard, so you can leave your roommate a note if you're not in the mood to talk to them. 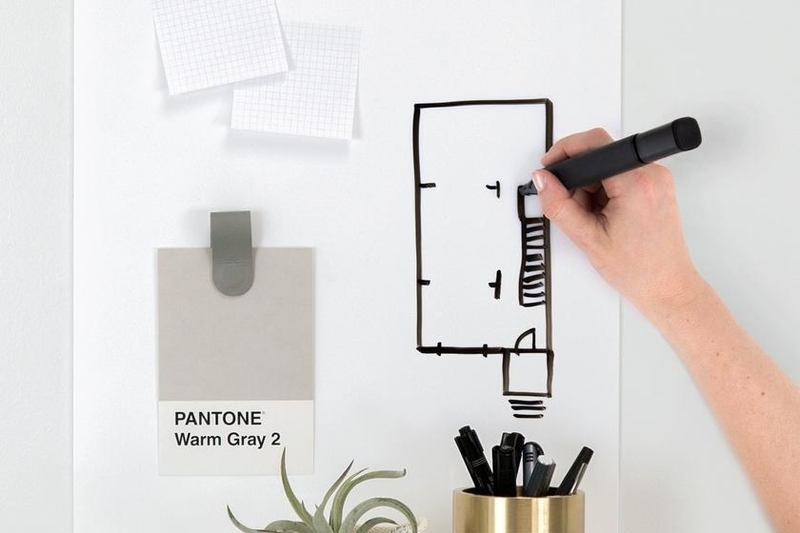 Get it from Artifox for $99 (available in white or chalkboard black) or something similar from Amazon for $19.99. 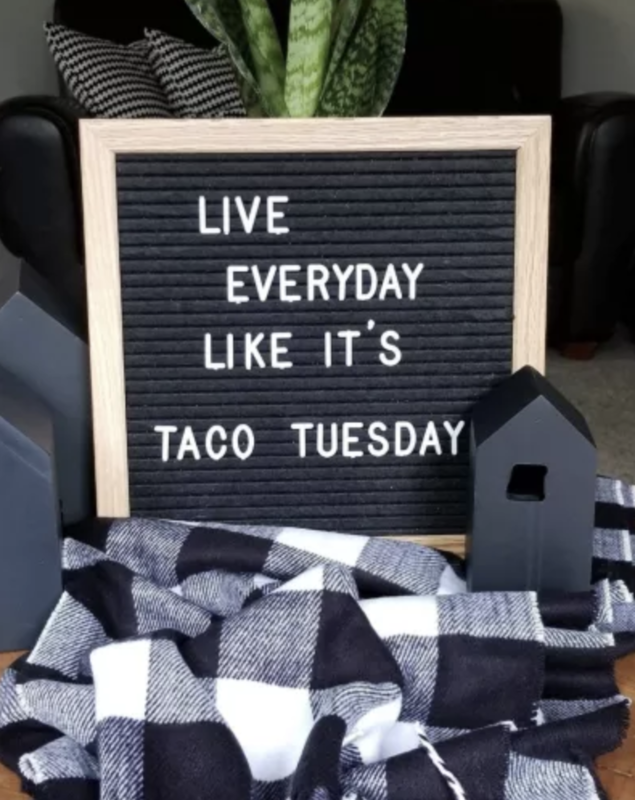 The 10x10 letter board is made of black felt and comes with 340 letters, numbers, punctuation marks, and symbols, plus a bag to keep the extras in. Get it from Amazon for $16.65+ (available in five colors). 5. 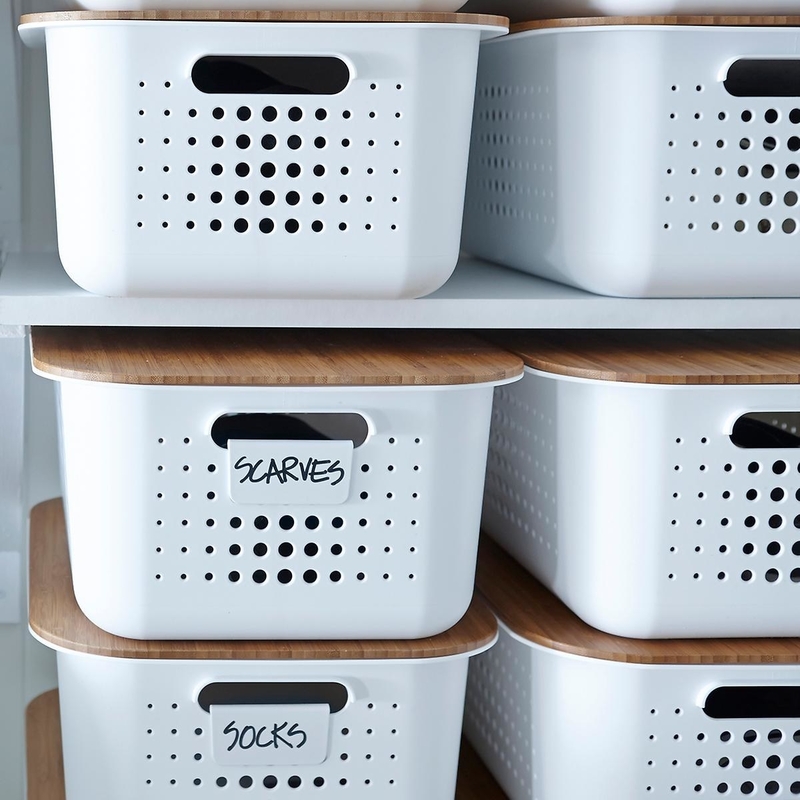 Some Nordic baskets with handles and a dry-erase label to give your home the ultimate Marie Kondo makeover. Unfortunately you can't get rid of your roommate if they don't spark joy, though. Get them from The Container Store for $6.99+/each. 6. 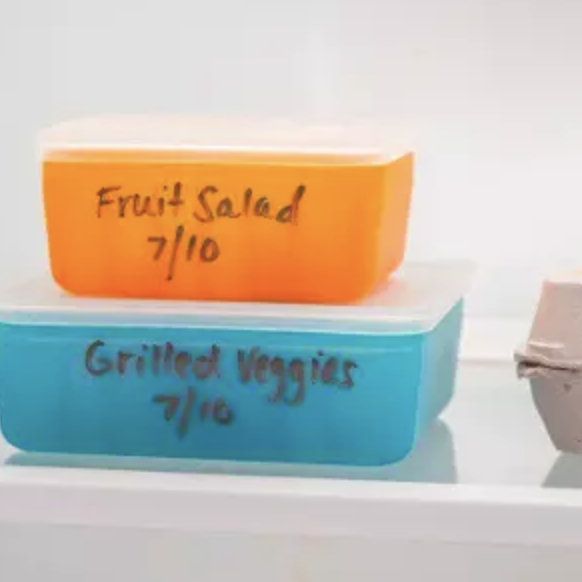 A toxin-free storage container you can label with the date or your name so nobody gets confused about whose is whose in the fridge. 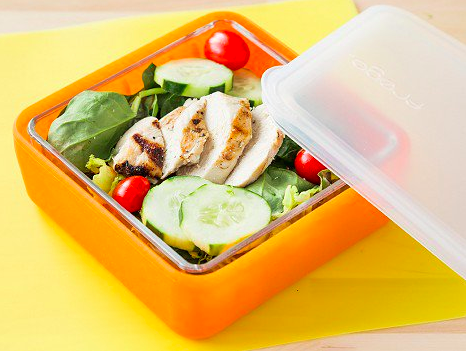 They're made from shatter-resistant glass and silicone and are microwave-, freezer-, and dishwasher-safe. Get it from The Grommet for $21.95+ (available in blue and orange) or from Amazon for $19.76. 7. An over-the-cabinet bag holder so you all have a place to put the mountain of plastic bags that you've somehow accumulated. This holds up to 60 plastic bags. 8. 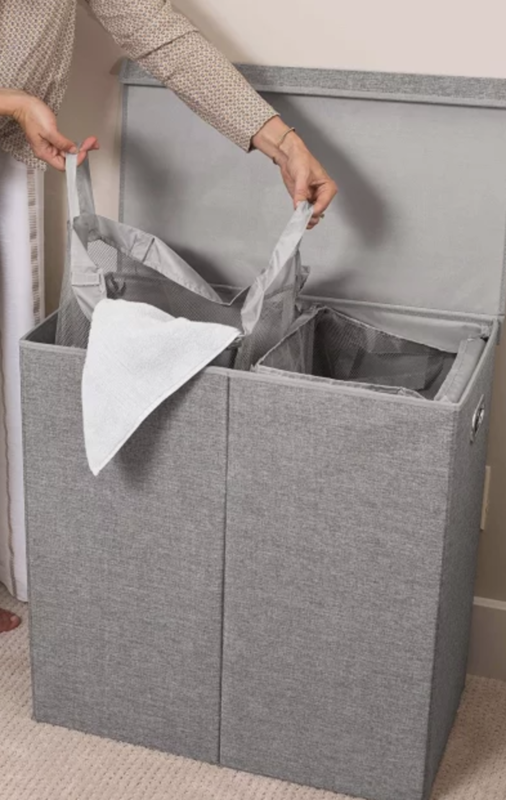 A double laundry hamper for the bathroom to keep your things separate — for good. 9. A multi-use stool you can stuff all your throw blankets in when you're not using them. Plus, it also doubles as a seat when you have people over! Get it from Urban Outfitters for $59.99 (originally $98; available in black, tan, and green) or a similar style from Amazon for $36.49+ (available in four colors). 10. A lifting coffee table that'll hide all those random magazines and books so well you might even forget where you put them. 11. 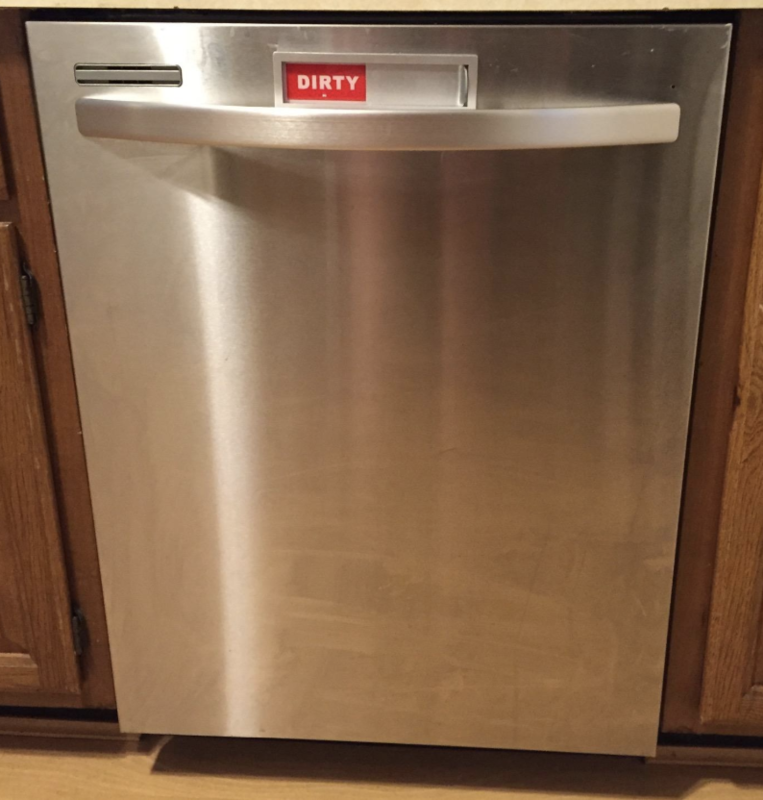 A magnetic dishwasher sign so nobody will have an excuse for putting dishes in the sink if the dishwasher is dirty. 12. An end table with a storage basket to artfully store anything in the common area that you don't want hanging out on the couch or coffee table. 13. 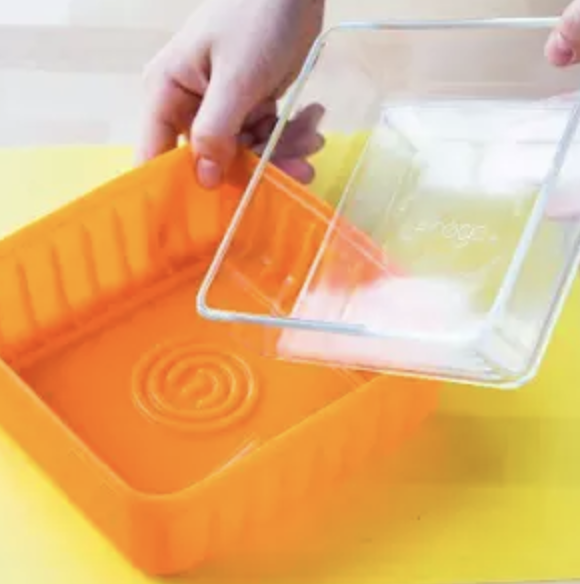 A large dish rack if you don't have a dishwasher and don't want to spend the time hand-drying everything. This one has an adjustable drain tray. Get it from Amazon for $39.87. 14. Some color-coordinating soap dishes so you never accidentally use your roommate's soap ever again. Get them from Amazon for $6.99 (available in 13 colors and styles). 15. A wine rack to help free up some precious counter space and make the place seem a little bit fancier than it actually is. Ge it from Amazon for $40. 16. A wall-mounted utility rack that'll keep all your cleaning products in order so you can stop putting off cleaning even if it's "not your turn." 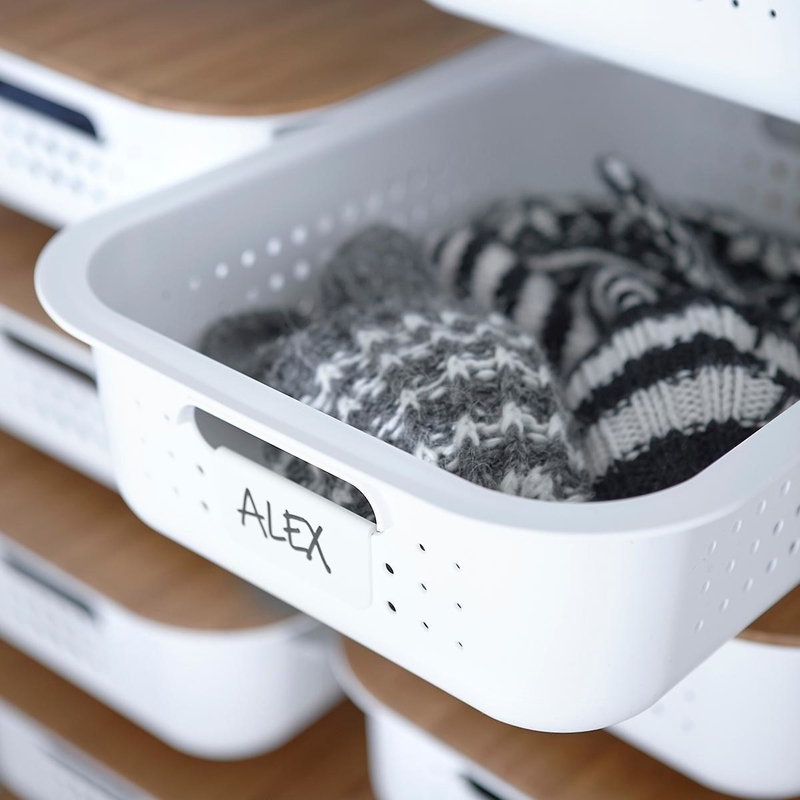 It has six retractable hoods, 11 storage spots, and can hold up to 35 pounds. 17. A three-compartment plastic lid organizer to prevent an avalanche of plastic containers every time you open your cabinets (and to prevent you screaming and waking up your roommates). 18. A shoe rack and bench so you're not tripping over shoes as soon as you walk through the door. 19. And a shoe drying mat for the winter months, because there's nothing much worse than tracking snow and dirt through your place and stepping in a wet puddle while wearing socks. 20. 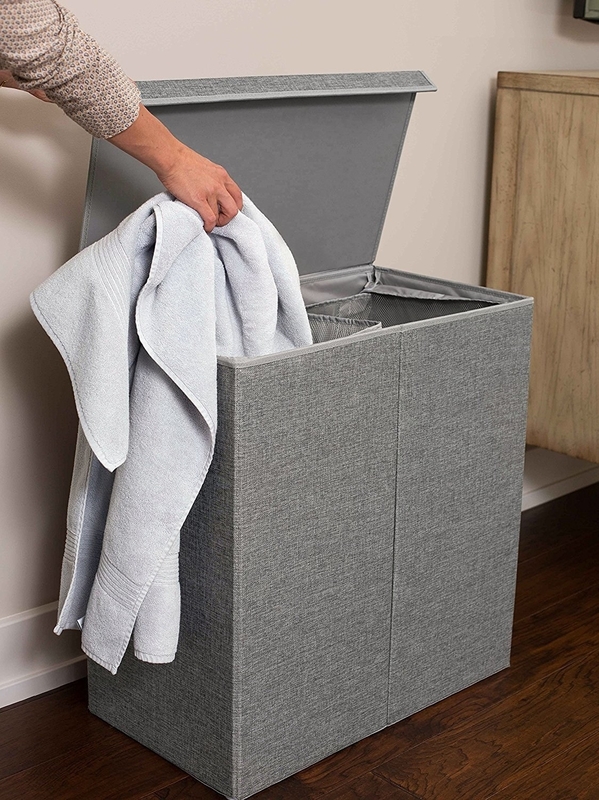 Or some linen storage boxes that will make your home look sophisticated as you keep everything organized but also displayed with the drop-front view. Get it from the Container Store $14.99/each. 21. A bin to make recycling a breeze, as it fits a standard paper grocery bag. Just remember to empty it every once and a while! It's made of 100% recycled plastic. 22. 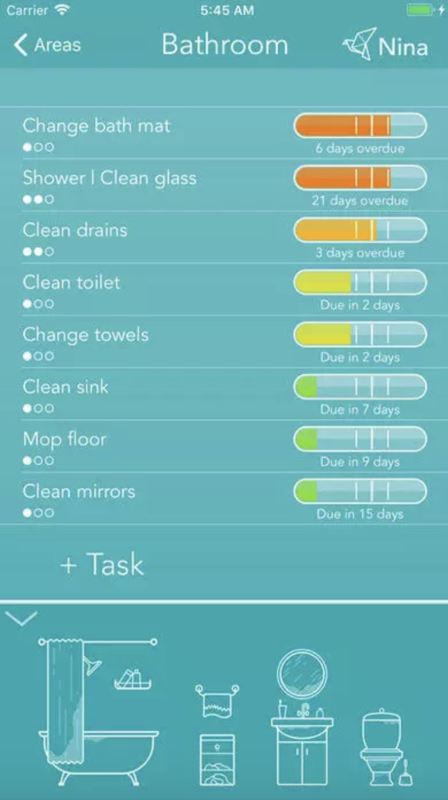 A handy app called Tody that lets you divide your household chores so you don't get stuck cleaning the bathroom EVERY. SINGLE. TIME. 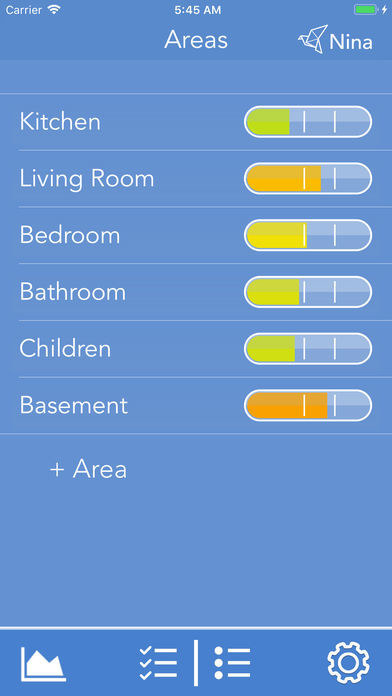 Plus, it turns claiming your tasks into a sort of game, where you get to "check in." Get the app from iTunes for $6.99 or Google Play for free (with an in-app subscription). 23. A non-slip couch armrest with pockets so you'll never spend 10 minutes looking for the remote again. Get it from Amazon for $13.92 (available in 10 colors). 24. A shower storage caddy to help keep all your bathroom items separate from everyone else's. Get it from Amazon for $30+ (available in four colors). 25. 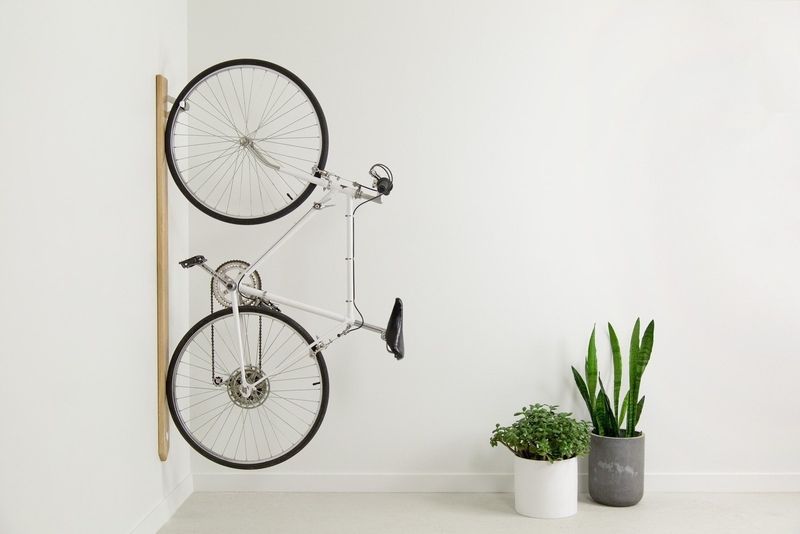 A vertical bike rack that will basically turn your bike into a work of art everyone who visits will be talking about. Get it from Artifox for $199 (available in white and walnut) or a similar style from fluoshop on Etsy for $88.21. 26. 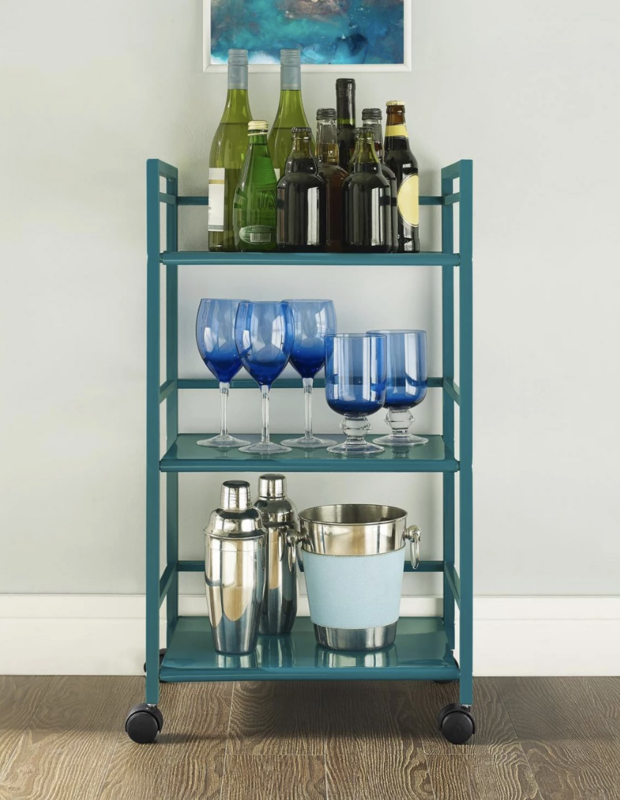 A multipurpose utility cart you can use as a bar cart if you like to throw parties, or just as a place to store extra stuff you don't have a place for. Get it from Target for $45.99 (available in teal, white, and navy blue). 27. A umbrella stand so nice you'll want it to rain more just so you can use it. 28. An over-the-cabinet hair-dryer caddy that'll help any argument about counter space in the bathroom ~blow~ over. 29. 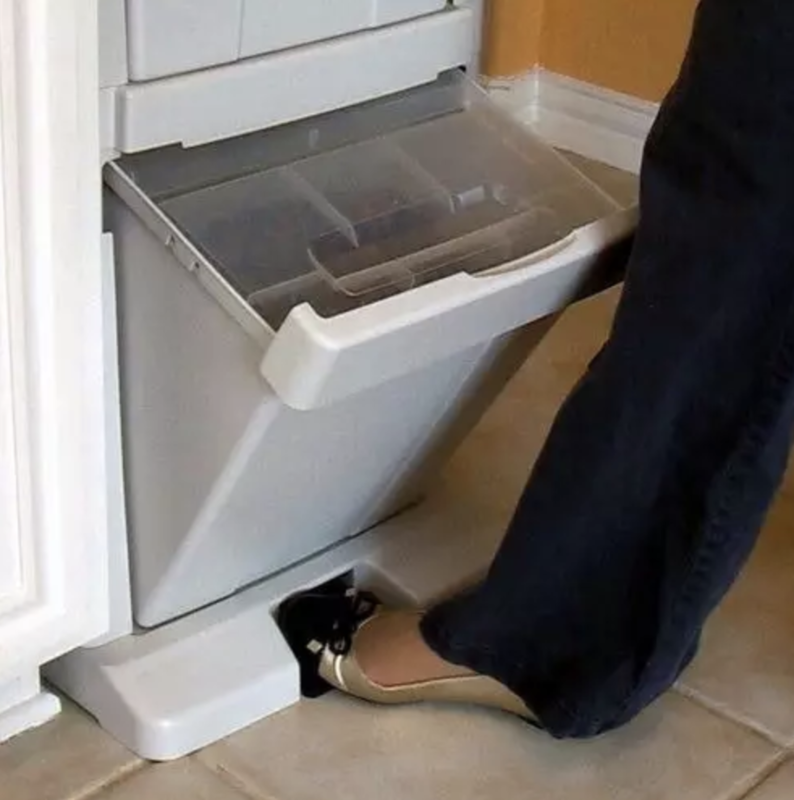 A two-bin storage tower with a foot pedal on the bottom to make it super easy for you to store and dispense your pet's food. 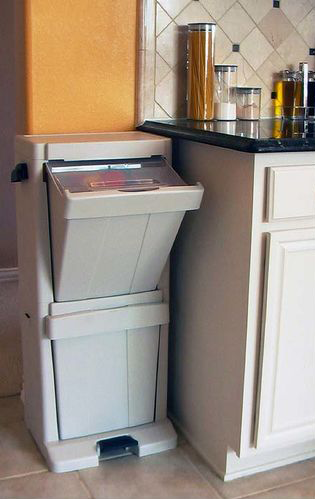 Plus, you can use the top bin to store all their other supplies so they don't end up in random corners of your place. Get it from Amazon for $52.81. 30. An over-the-toilet organizer because you somehow always need more storage no matter how big your bathroom is when multiple people are using it. Get it from Amazon for $65.98 (available in brown, gray, and white). 31. 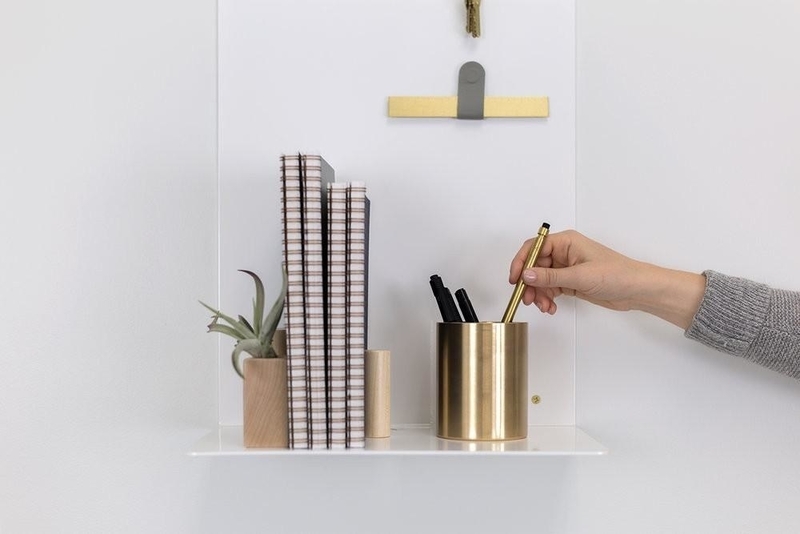 A mail organizer with two slots — one for your mail and one for the miscellaneous mail that shows up for the people who lived in your apartment years ago and never changed their address. Plus, it has five key hooks! 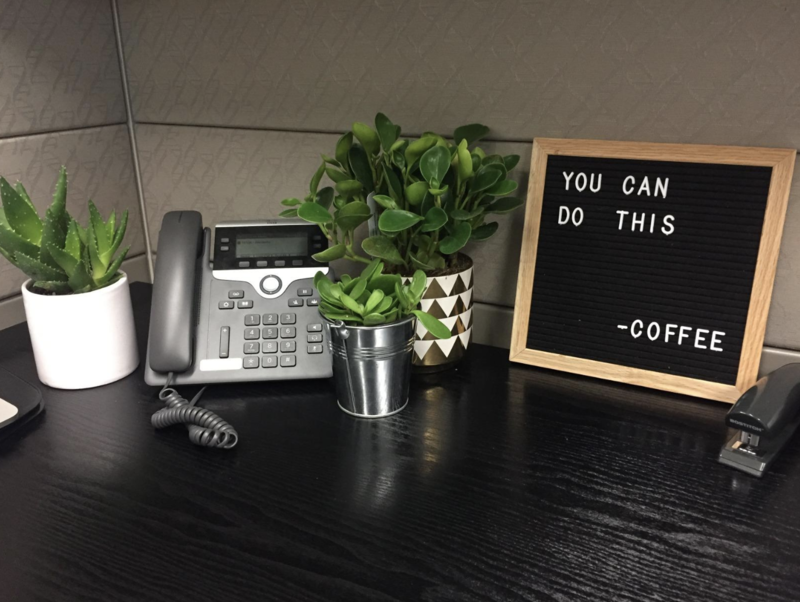 Get it from Amazon for $17.99+ (available in gray, bronze, and brown). 32. A knife block drawer insert to stop you (and your roommates) from reaching into the drawer and accidentally grabbing a knife from the wrong end. Get it from Amazon for $52.99 (or find a more budget-friendly version from Amazon for $21.99).